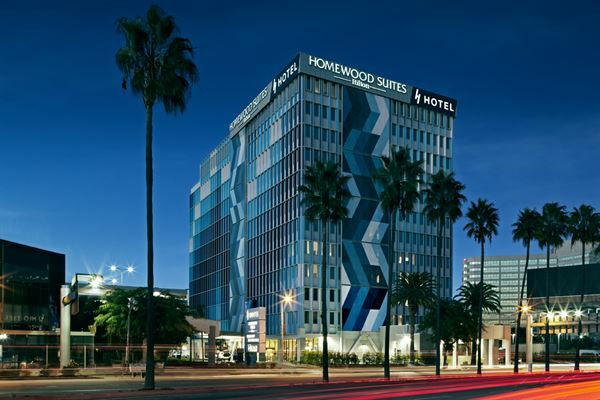 With three adaptable meeting rooms and an amazing rooftop deck, H Hotel Los Angeles, Curio Collection by Hilton specializes in intimate events with up to 45 -150 attendees. • Cancellation policy strictly enforced • a deposit of 25% of event is required to guarantee • Various methods of payment accepted • Full Payment is due 14 days prior to event. * $2,500 [ estimate] F&B Minimum required to secure roof top deck / $2,000 Rental required as well. The only outdoor rooftop deck along the LAX corridor with the most amazing views of the sea, from flights taking-off or landing along the runways at LAX, to the stunning view of the Iconic Hollywood sign and to the Downtown L.A. Skyline. Special Features: Located on the 12th floor somewhat adjacent to H Overlook Rooftop Deck. Restroom conveniently located next to event space. Elegant meeting space with 55' Television Monitor. Atmosphere/Decor: Ultra modern meeting space with tech friendly touches.